For some reason 🙂 St Patrick’s Day last week made me remember some photos I took back in January. 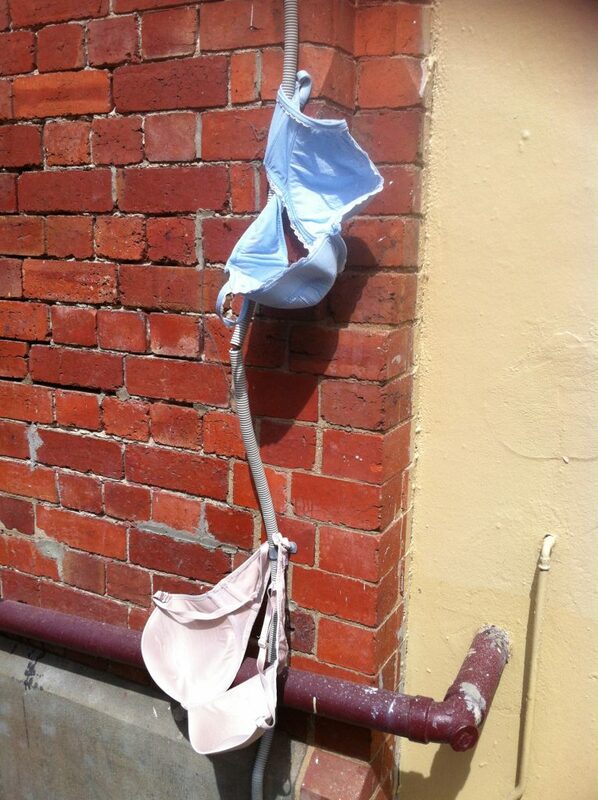 Why were these bras hanging outside Brunswick Station? Could this be an Art work? Somehow they didn’t look like it. The fact that there was a backpackers hostel and pub nearby could have been relevant. 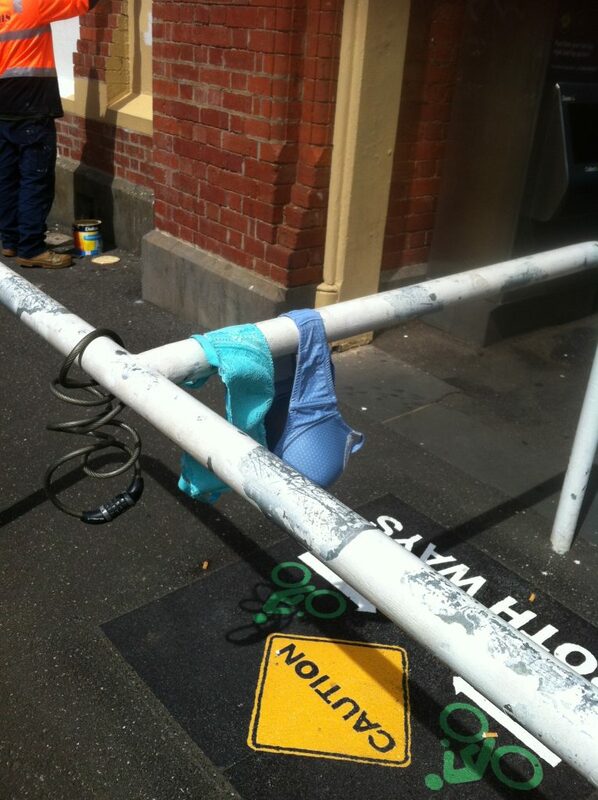 I asked the cleaner who is a devout Iraqi Christian (from Mosul, poor man), “Did you see the women’s underwear outside Brunswick.” He said he had but he didn’t like to remove them. “I thought they might be part of your Australian culture,” he added.